Jeff Bezos became the richest man on Earth, at least for some hours. After a short, while Microsoft co-founder Bill Gates took the lead back. The whole race is connected to Amazon prices now. 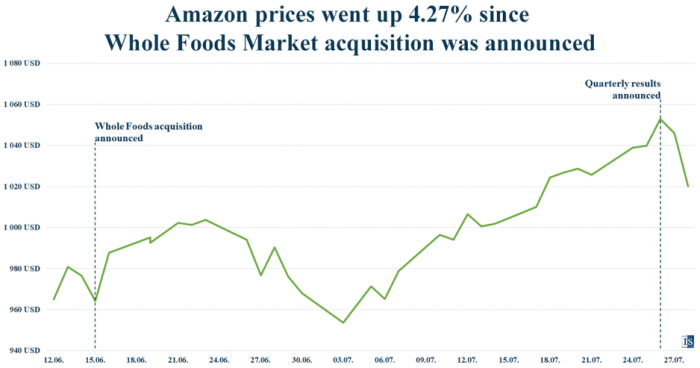 Some weeks ago, we wrote about how Amazon is acquiring Whole Foods Market Inc. The reason behind Amazon’s biggest acquisition so far is simple: the internet company dominates online retailing but has historical problems penetrating the brick and mortar market. Whole Foods may help them in that with a great number of stores around the US, Canada and UK. The market loved the idea and Amazon prices went skyrocketing after the announcement. According to the Forbes at the time of the purchase Bill Gates was the richest man on Earth and had $5 billion lead ahead of Jeff Bezos. Now the lead is only around $500 million. The reason is simple: Bezos alone owns 17% of Amazon, a whopping 80 million stocks. As the company’s stocks are changing, so does Bezos’ personal wealth. Last week this surge in prices went even higher. Right before the announcement of Amazon’s quarterly earnings were published, stock prices went up to $1083.31. That alone made Jeff Bezos the richest man on Earth. He had a total wealth of $90,60 billion, while Gates had $90.1 billion. 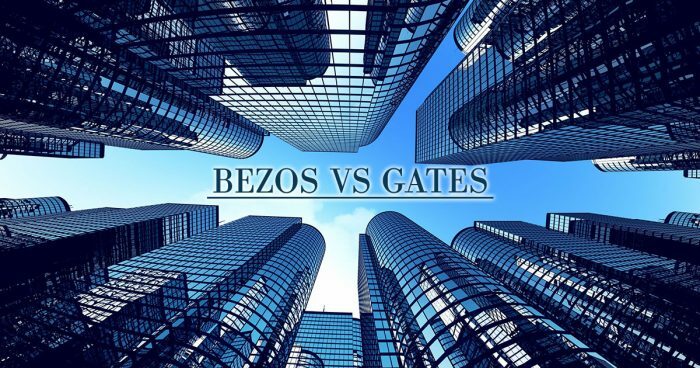 Gates is back - but for how long? Bezos couldn’t hold onto the highest place on Forbes’ list as right after the profits were announced, stocks went back to $1046. No wonder, quarterly earnings were 77% less than the same period last year and that was a huge dip below analyst expectations. But all this doesn’t really seem to matter. Amazon prices are not really going down and many expect that it’s just a matter of time before Bezos takes the lead for good. That would be historical as Bill Gates led the Forbes list 18 times in the last 23 years.